What should a public media station be online? Call letters don’t always translate well to an online brand for a station that isn’t well-established in its community. And the fact that you’re also a radio or TV station doesn’t always mean something to someone who clicked to read a news article from a Facebook post. So why not be a web-native brand? WHYY in Philadelphia retired such an experiment last month and is betting the call letters mean something. It brought together its NewsWorks brand and other online-specific identities under a revamped WHYY.org. 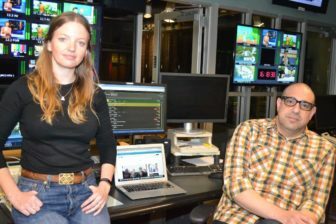 Gabriel Coan is WHYY’s vice president of digital strategies and services; Rebecca Smith is the digital product manager. On our podcast The Pub, guest host Gabe Bullard asked Coan and Smith about why they decided to consolidate and give up a web-native brand for one that’s tied to broadcast. They also discussed how WHYY’s new site aims to serve a wide range of users. 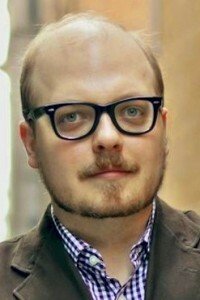 Gabe Bullard, Current: How do you think the public radio home page is or should even evolve? Or the public radio website in general — how do you imagine it changing and evolving over time? Gabriel Coan, WHYY: It is something that we’re all wondering about, struggling with. We are in the position of being a dual licensee, where our home page has to serve two broadcast platforms as well as, now, an online news service. One of the things that we endeavored to learn more about when we started this project and started interviewing members of the public was to ask them, “As a television viewer, why do you use websites around programs that you like? If you like a TV show or you like a network, what does their website have to do with any of that, if anything? Same question about radio. They’re very different, and oftentimes I think we fall into this trap of saying “broadcast” and lumping television and radio into being that same experience on digital, and they’re very, very different. Current: Each platform — ideally, if you’re serving users — is self-sustaining as well. You can watch television, you can listen to the radio, you can visit the website, and ideally you don’t have to do another of those three to get value out of the one. Coan: That’s right. When it comes to television and radio, website is a secondary platform. I’m not saying digital is a secondary platform. In television’s case, digital is becoming more and more of a primary platform, but it doesn’t mean that websites, browser-based experiences, are going to be nearly as popular or as commonly used as, say, over-the-top boxes and on-demand viewing in a living room. Same thing with audio. Audio on mobile is killing; mobile is a great platform for listening to audio. We are asking ourselves these questions all the time about, What is a website? What is it even doing, and what can it possibly do? And we sort of embrace that. Yes, of course, we have a livestream that’s accessible on every page; it’s a persistent player. You can listen to our livestream; you can access and listen to all of our podcast segments, individual stories. Same with video. You can watch segments and full episodes directly in your browser. But they’re not always presented as the first-use case. And we understand that. We know that people are listening to the livestream because it’s something that you can do on the browser; you can set it and move on and leave it going in the background and do something else with it. Are people watching half-hour, one-hour television-based programming in a browser? Not nearly as much as they’re doing at home. That’s fine. This is why we’re a digital department and not a website department. Current: Presumably you’d want someone who might be coming to read if there’s just text, or if there’s something that’s more photo-heavy, to be able to consume that and not necessarily be barraged with the fact that, “Well, we’d rather you listen, we’d rather you watch,” or anything like that, I’m assuming. Coan: That’s right. That’s why text and images are front-and-center on our homepage and not video or not “Watch the latest episode of Masterpiece on our website.” Front-and-center, it’s about news because we know that’s what people are doing on a website. Rebecca Smith, WHYY: When I was talking about how to serve sideways entrance and how to serve our digital audience, we really wanted to stress the importance of, what are people consuming on this platform? There’s a difference between someone who’s coming to a home page to browse and somebody who’s coming to a home page to find something. For somebody who comes to our home page, they click on TV, right under that is “Watch on Demand.” Because we’re hoping that we’re guiding them down the path that they’re looking for, but not forcing them. Current: And then designing that so that you know when somebody gets to your site, if they’re a TV viewer looking for something, and you know if they’re coming in sideways to read a news article, and you know if they’re a radio listener who might just be wanting to stream and separating that. Smith: Yeah. Back to your question of how the public media home page changes — once again, how is the public media audience changing? We always need to be not a step ahead and not a step behind, but a step in line with our audience. Through research, through audience strategy, through analytics, through interviews, through iteration on all available platforms: That’s how it changes. It changes as our audience changes, and that’s an evolution that I think public or private companies need to get on board with and probably are on board with. Current: After seven years at NewsWorks, you looked at everything and decided “This is going to change.” How will you know whether it’s working and if in seven more years another big change is needed? Smith: I guess we’ll tell you in seven years. Current: All right, I’ll set a reminder now. Thank you very much. I think that sums it up. I mean, it’s always going to be changing. Smith: You don’t know what you don’t know. Current: Yeah, and I think going back to 2010 and looking at how things are now, where traffic’s coming from, user behavior, everything like that — anyone who would have predicted exactly how we’re doing things is probably extremely successful right now. Coan: That’s right, and I think that is a big takeaway here. We had to manage this a little bit internally as well when we stood up and said, “OK, we’re making this change and NewsWorks as a brand is being sunset.” We were very careful not to say, “We’re killing a brand.” You know, a lot of people here built that brand. But in 2010 the decision was the right decision. … Knowing all the things I know about what went into that decision, I don’t know that I would have recommended we go a different path. I think it was worth a try, and it made a lot of sense at the time. But things move so fast that if we were to do it all over, and we were faced with the same question today, I am confident that we would choose to do what we’ve done. But it was absolutely the right decision for 2010.